Turkish Airlines said in a statement on Friday that Bilal Ekşi, head of the country's civil aviation authority, will replace outgoing CEO Temel Kotil who has run the airline for the last decade. 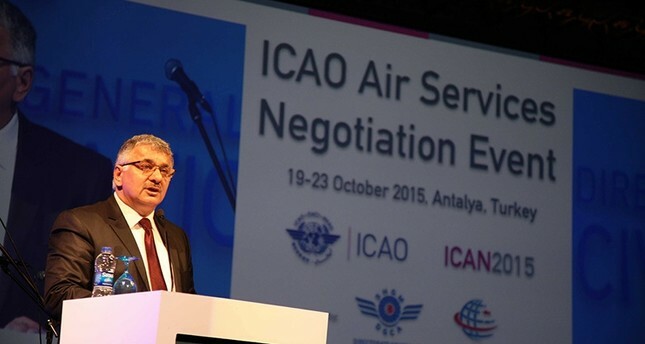 In a statement published on Public Disclosure Platform (KAP), the airline said that Ekşi, who will be presented for the managing board's approval in its next meeting, was also appointed as deputy board chairman. Kotil, who led Turkey's flag carrier from April 2005, is moving to the country's military and civilian aircraft manufacturer Turkish Aerospace Industries (TAI). Ekşi served as the airline's deputy director general before moving to the Directorate General of Civil Aviation in April 2011. In his farewell message to Turkish Airlines employees, Kotil said the company had reached their target of flying to the most destinations in the world in 2013. Its 300 aircraft fly to 116 countries. "At the beginning of my stint as general manager in 2005, Turkish Airlines was an airline that flew to 102 destinations, operated 2,000 weekly flights, carried 12 million passengers per year and had a fleet of 73 aircraft," he said. "We ranked 40th among the world's biggest airline companies. Now, we rank 10th." Kotil pointed out that the company's annual income had increased from $2 billion to $10 billion over a decade. "The number of pilots in our company rose from 640 to 4,500, while crew members increased from 1,700 to more than 10,000," he added. He also stressed the company's focus on increasing African destinations. "We've become the only airline that connects Somalia to the rest of the world by operating safe flights to and from Mogadishu for the last six years," he said. Earlier Friday, the airline added the Tanzanian city of Zanzibar to its list of destinations, becoming the company's 293rd destination and its 50th in 31 African countries. The airline carried 42.7 million passengers to domestic and international destinations between January and August, according to a company statement released last month. Turkish Airlines was named Best Airline in Europe in 2016 by U.K.- based consultant Skytrax for the sixth consecutive year.